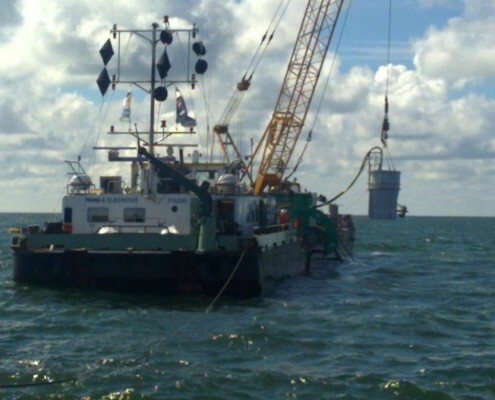 Before dredging could start for a new deep navigation channel to the busy Port of Eemshaven, in the far North of the Netherlands, six wrecks had to be removed. 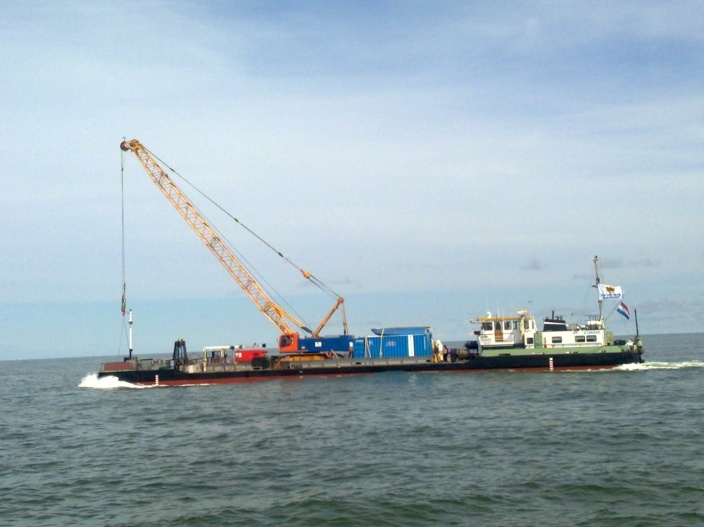 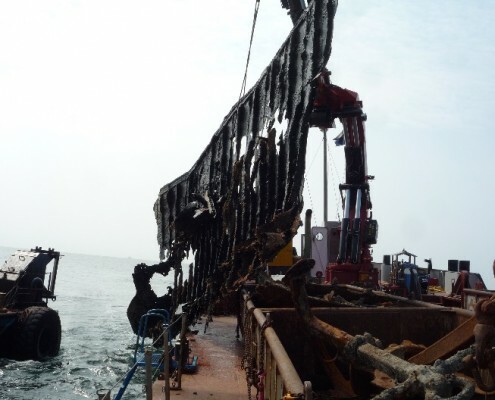 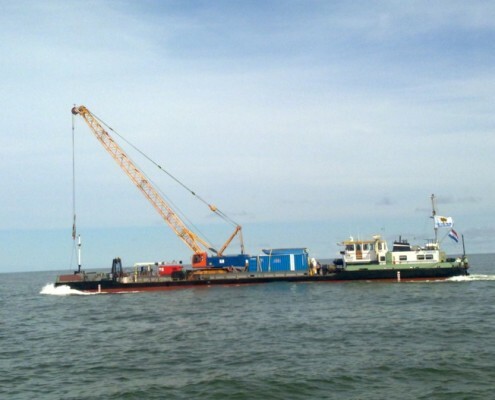 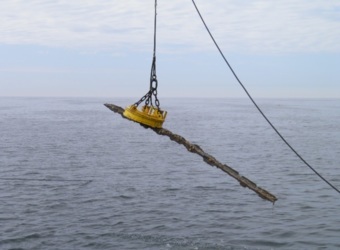 DUC Marine Group provided salvage dive assistance to the main contractor during the full execution period. 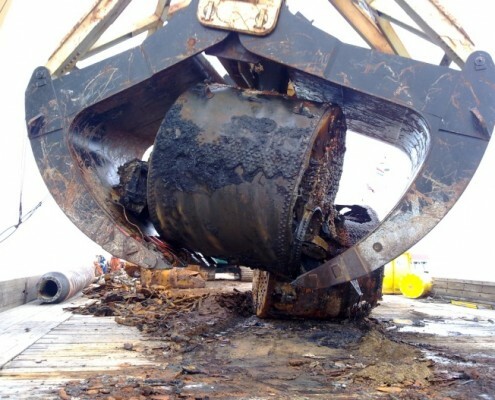 All objects were inspected. 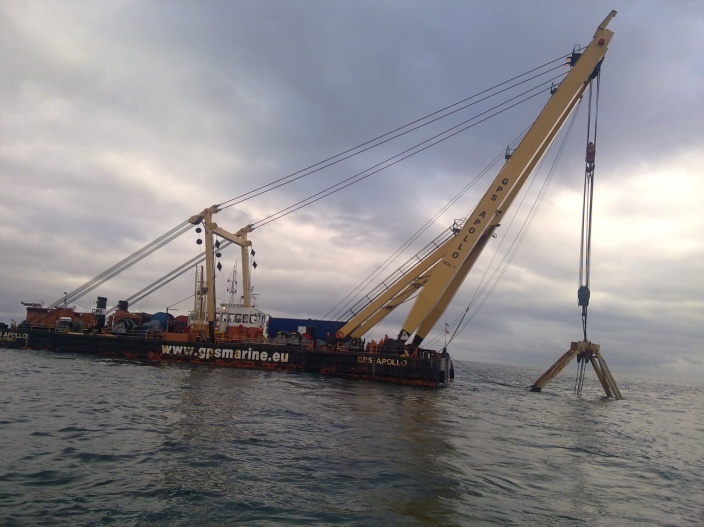 Some parts were exposed using an airlift and then connected with slings. 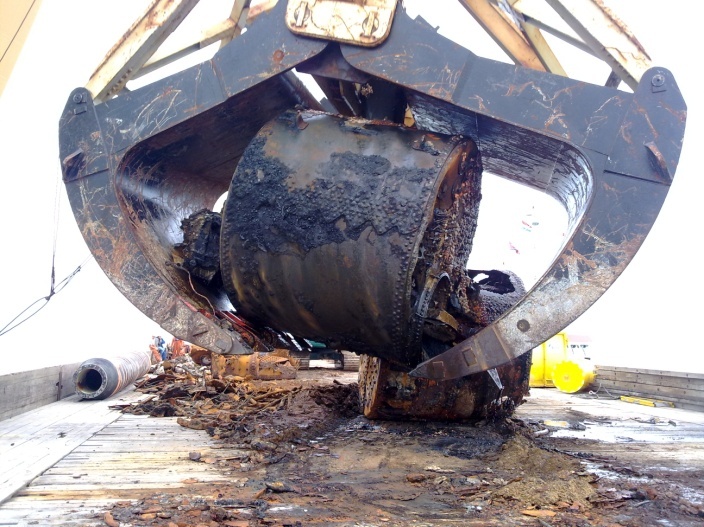 Other big objects were divided into smaller parts underwater using Broco-torch. 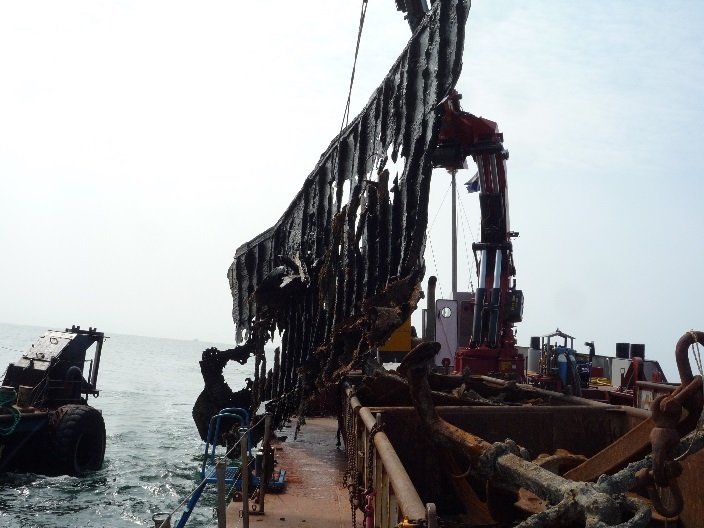 The performance of the Mass-Flow-Excavator was carefully monitored by DUC. 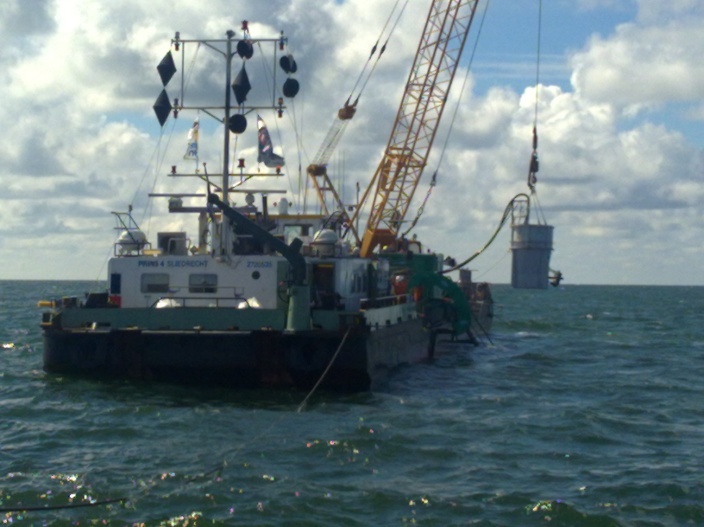 Diving was performed from a vessel of the main contractor. 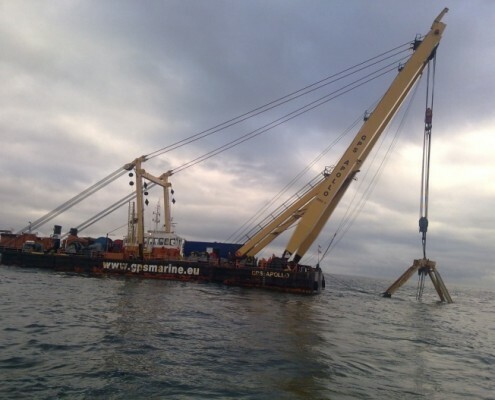 – one of 50 m x 20 m x 4 m at a minimum depth of 14 m.
DUC Marine Group was sub-contractor for this job and performed the works with two of their own vessels; m/v RAM and m/v REIGER. 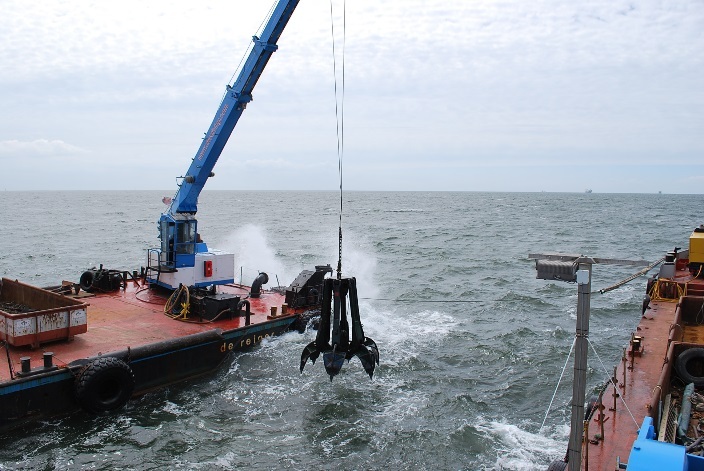 The sand above and around the wrecks was dredged with a big 10” airlift during tidal currents. 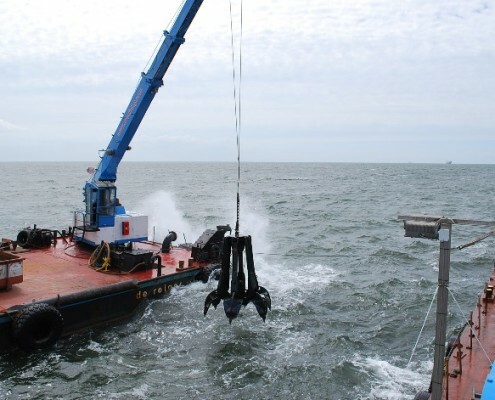 During slack waters the divers connected hoisting slings and big parts were cut into smaller pieces. 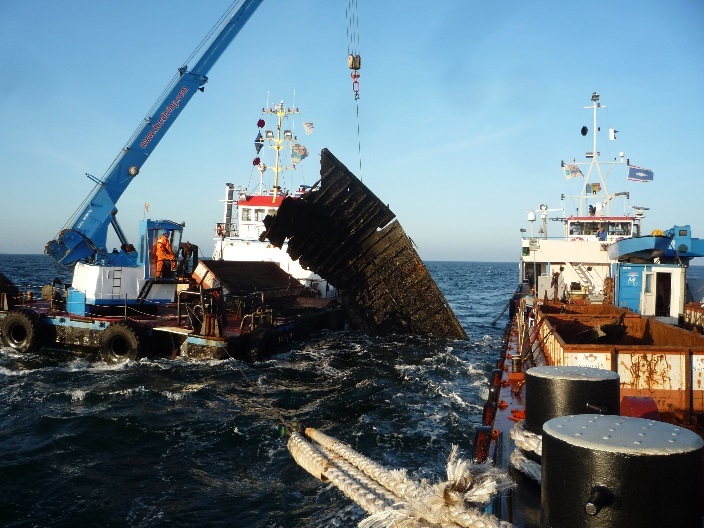 In only 12 weeks the two wrecks were completely removed and the bottom was cleaned. 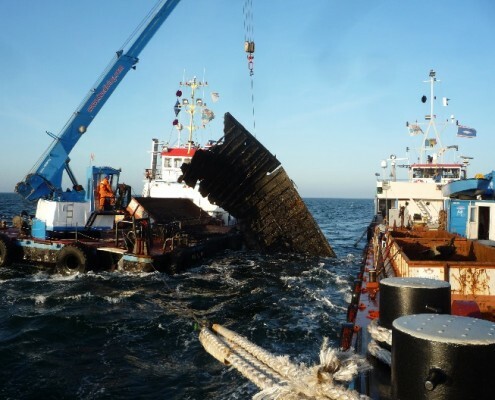 The debris was transported to approved recycling companies.